Happy holidays, everyone! I hope you're staying warm during these cold winter months. It's been around 25ºF and snowing where I live, but luckily I'm inside my warm apartment, wrapped up in a blanket, and watching the snow slowly falling outside. Snow and ice can be beautiful sometimes (when you don't have to drive in it! ), and I've always appreciated videogames that are able to capture that beauty, letting me experience winter wonderlands from the comfort of my living room. Ice levels in games usually share certain qualities in common; they may have you slipping and sliding on the frictionless ice, your vision may become obstructed by a blizzard, or maybe your movement will be hindered by the snowdrifts. These things can be annoying (especially the ice! ), but a well-crafted ice level can also be a beautiful thing. 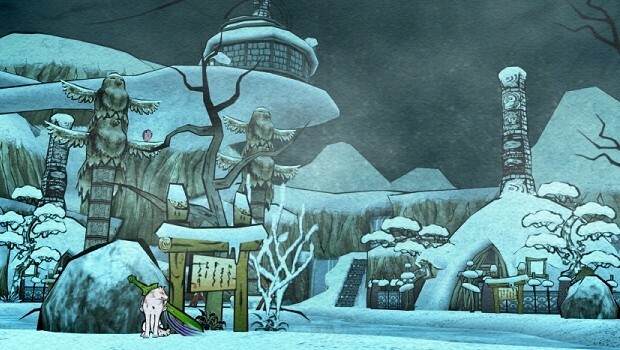 I'd like to take a moment on this snowy day to honor some of my favorite winter-themed levels in videogames. 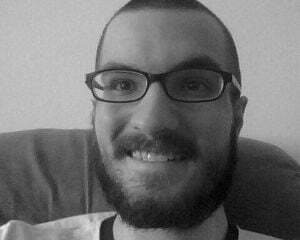 So grab a warm blanket, make a cup of hot cocoa, and get comfortable as I take you through some of the best, and chilliest, levels around! 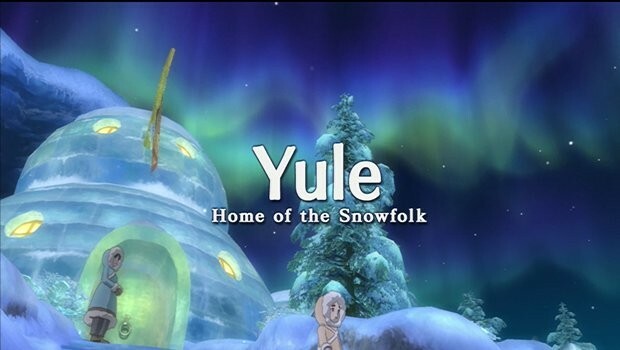 One of the last towns you come across in Ni no Kuni, Yule is a peaceful little village made of ice on a frozen island. The village is made up of a bunch of igloos, with well-dressed snowmen decorating the streets and a beautiful aurora in the sky overhead. It's obviously a very cold place, so Oliver and friends must wear warm winter coats while visiting. The village is inhabited by people and a race of creatures called Tomte, which are large, adorable, hairy beings that seem to speak in a broken Russian accent. They remind me of albino versions of Gossamer from Looney Tunes (only less frightening)! The surrounding area is populated by ice-based familiars such as Ice Maidens and Sasquashes, and the local dungeon is a stunning ice cavern known as the Glittering Grotto. After venturing through the harshly cold dungeon, it's nice to return to the quaint, comfortable town of Yule with its surprisingly warm igloos. It's like the perfect little winter village! Trying to pick the best ice stage from a Mega Man game was surprisingly easy. Ice Man's stage from the first game was way too frustrating, Blizzard Man's stage from 6 was pretty bland, Chill Penguin's stage from X was very easy (although the fight against Chill Penguin is cool; he attacks you with blizzards and ice statues! ), and Flash Man's stage from 2 is very pretty and slippery, but also easy, and I'm not sure it's technically ice. Chill Man's stage from 10 is actually kind of fun. The main obstacle in this stage is huge blocks of ice that will break if shot or jumped on twice. You can use this to your advantage to kill enemies by destroying the ice from under their feet, dropping them into pits. You also need to think strategically about which blocks of ice to step on, so you don't end up falling into spikes or pits yourself. Of course, the slippery ice physics are present to add a bit of difficulty to the platforming, which can be a pain, but you get the hang of it eventually. Chill Man looks pretty cool, in my opinion, with his shiny helmet of ice, and his theme song is not too bad either. 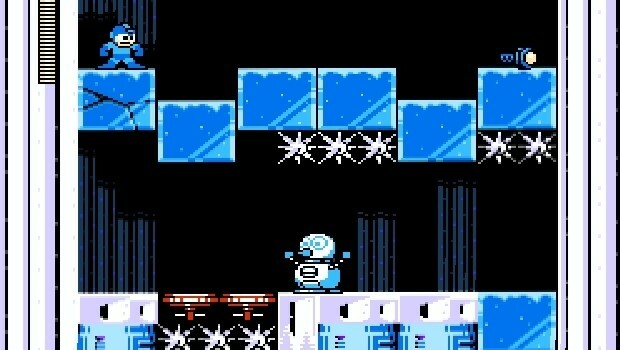 I'd say he's got the best ice stage that the Mega Man series has to offer! Kamui is the northern region of Nippon, located beneath the Ezofuji mountains. Under normal conditions, the Oina tribe of Kamui will perform a ritual each year to cause the volcanic mountains to erupt, warming the lands. However, the one who should perform the ritual has been lost, leaving the land of Kamui cold and snowy for far too long. Snow is always falling as you roam Kamui, jumping among the snowdrifts and sliding on the frozen water. Eventually you'll get to climb the Ezofuji mountains, battling a fierce blizzard on your way to enter the Wawku Shrine. This icy fortress is the home to one of my favorite bosses in the game: Lechku and Nechku, a pair of giant silver and gold clockwork owls. Like literally every other area in the game, Kamui is absolutely gorgeous thanks to the paint-like graphics, and I spent plenty of time exploring every last nook and cranny. From the frozen waterfalls, to the half-submerged ark frozen in a lake of ice, to the frosty Yoshpet forest, to the cozy village of Wep'keer, there is more than enough to keep you busy in this beautiful winter wonderland! Now, I'm not really a big fan of Sonic games, but I cannot deny that the Ice Cap Zone is a fantastic example of an ice level done right. You start off the level by snowboarding down a scenic mountainside (how cool is that? ), and make your way down into a crystalline ice cavern. 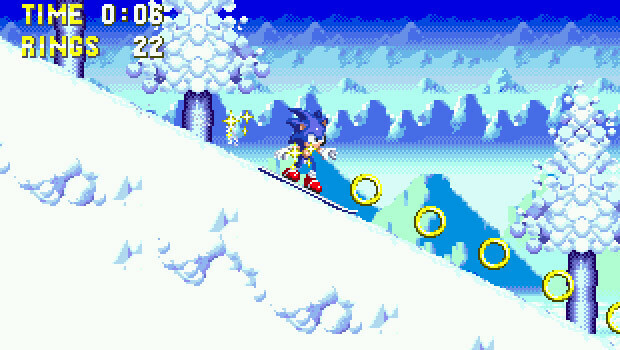 The slippery ice lends itself perfectly to the fast-paced platforming mechanics of the Sonic series. You can easily pick up speed by sliding down an icy ramp and maintain your velocity as you make your way through the beautiful, frozen cavern. This is how you make a fun Sonic level! 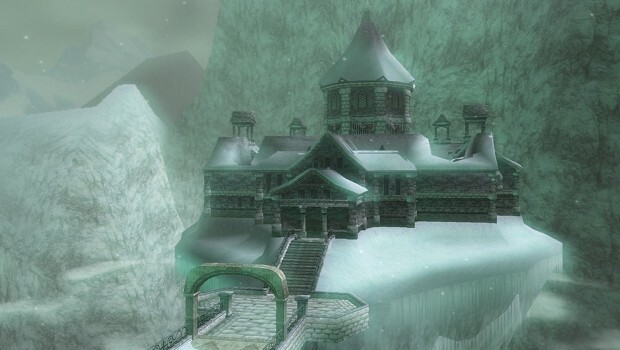 Snowpeak Ruins is the fifth dungeon in Twilight Princess, and it's actually a mansion inhabited by a friendly yeti couple, Yeto and Yeta. The mansion became infested with monsters after a Mirror Shard appeared, so the yetis ask Link to help them out. You'll find Yeto cooking a huge pot of soup in one room, and you can bring him ingredients to help make the soup yummier. You can also put some soup into one of your bottles to regain health if you want! 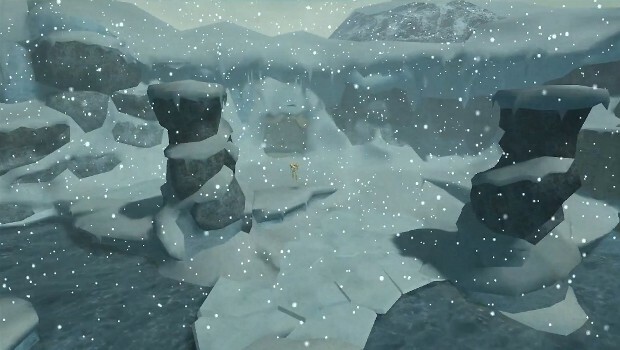 As with all ice dungeons in the Zelda universe, you will come across sliding block puzzles and enemies that can freeze you temporarily. This dungeon also happens to be the home of my favorite item in the game, the Ball and Chain. Although it's mostly useful in the Snowpeak Ruins for destroying large blocks of ice and defeating the boss, I always liked to use it in other battles outside the ruins as well, mainly because it was crazy how easily Link could wield such a massive weapon! Speaking of the boss, Blizzeta was a really cool boss fight. The fight utilizes the shiny ice surface that you're standing on as a sort of mirror, so you can see where the boss is going to land even though it's off-screen. It's a really cool effect, and it made for a particularly interesting boss fight! The first thing you'll notice about Phendrana Drifts is... that music! 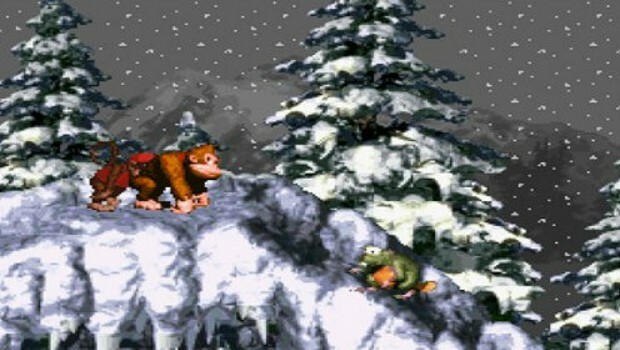 This snowy area of Tallon IV is accompanied by the most lovely, calming music in the game. Seriously, give it a listen! While you're enjoying the music, you can wander around the beautiful winter landscape, complete with gently falling snow, glacial structures, frozen waterfalls and more. Of course, there are many dangers lurking in this breathtaking area. Here you'll fight two terrifying bosses, Sheegoth and Thardus. Try not to lose, or you may end up buried in the snow and ice, frozen for eternity! This one is ranked so high for several reasons. For starters, it's a classic. It's also one of the first ice levels I ever encountered, if not the very first. It introduced me to slippery ice mechanics, which admittedly took awhile to get used to as a kid, but was useful to learn for many other games to come. Also, there are rockets that you can ride to other parts of the level, Shy Guys riding around on television cameras that shoot fireballs (??? ), and most importantly, whales! 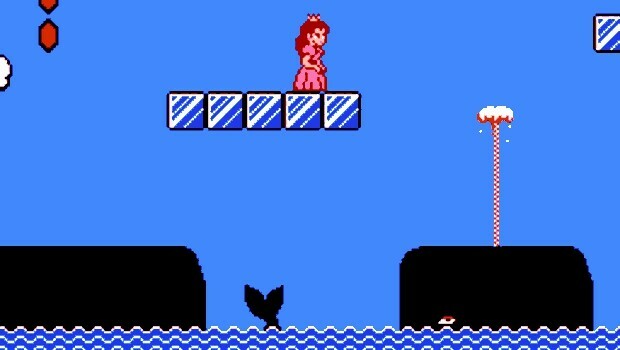 The whales were my favorite thing about Super Mario Bros. 2. You can use them as platforms and ride their spouts to reach higher locations, and they're a perfect fit for the cold, Arctic setting. Actually, only half of Gourmand Land is ice. The other half, in contrast, is fire. 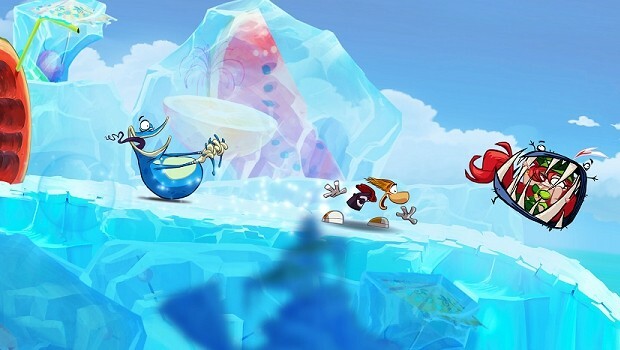 But the ice parts of Gourmand Land are definitely my favorite levels in Rayman Origins, as well as my favorite ice levels in any videogame! The icy landscapes of Gourmand Land are filled with citrus fruits, watermelons, strawberries, and other delicious things frozen within crystal clear sheets of ice. It's absolutely beautiful, and I always find myself craving a refreshing fruit smoothie while I'm slipping and sliding amongst the frozen treats! As with the Sonic example, these levels are specifically designed for sliding around on the ice at high velocities, so there's no need to be careful with your footing in this slippery platformer. Just slide to your heart's content and take in the beautiful scenery! Home of the world's largest snowman! Ice physics in a sliding block puzzle game? Uh oh... things are about to get slippery! Penguins and seals and bandicoots... oh my! All that's missing is your adorable polar bear friend (he comes later)! A snowboarding mini-game, getting lost in a giant glacier, and rubbing yourself to keep warm... plenty of memorable moments in this chilly place! Perfecting the art of Goron rolling can be tricky, especially on the ice, but you're going to need it to survive this tough dungeon! Pass the time playing Kick the Can in this picturesque, snowy village! Help solve the penguin murder mystery is this snowy paper town! 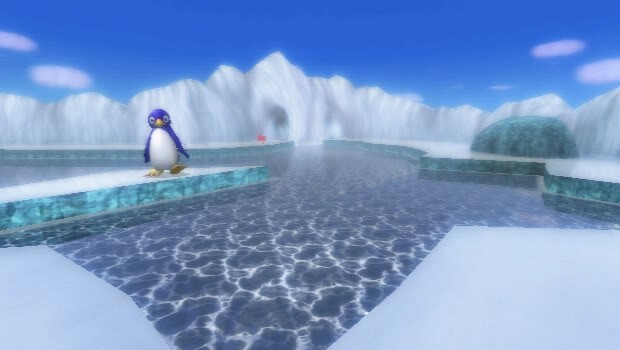 Penguins, snowmen and frosty cabins... yep, it's another Mario ice level (this time in 3D)! The game takes place on an Alaskan island... what more can I say?